Welcome to my first pupil post of the year. I hope the children have had a wonderful summer and you have managed to make memories with them. I’d like to extend a particularly warm welcome to families new to Red House. We’re delighted you’ve joined us and we look forward to welcoming you to the school throughout the year. I know many of you are aware of our wonderful results this year. A pass rate of 99.5% at A*-C (now 9-4) is phenomenal and I have not seen a better set of results published by any of our competitors. 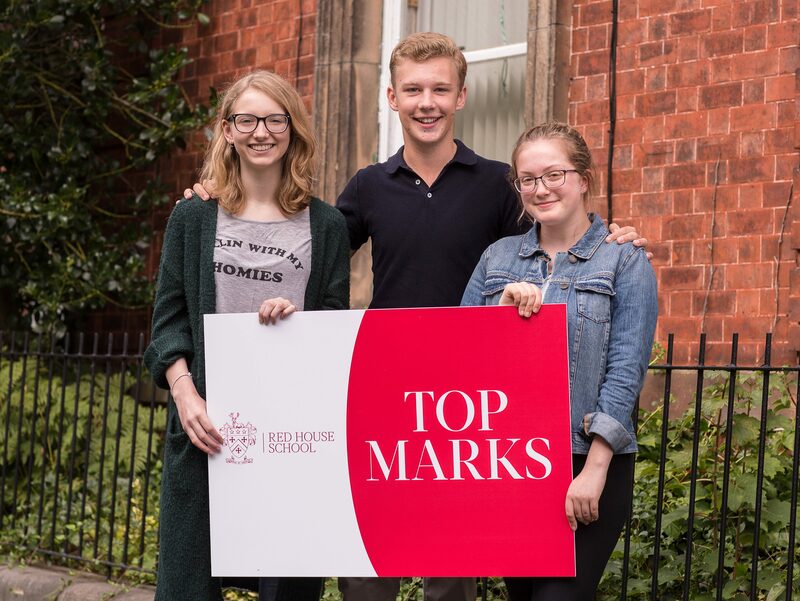 Over a third of the grades were achieved at A* (now grades 8 & 9) and almost two thirds were achieved at A*/A which highlights our ability to ensure academically strong children excel. Our wonderful ‘value added’ data also confirms our ability to ensure the children fulfil their potential. This was also a year group who fully embraced our co-curricular programme – drama, music & sport – and their results and triumphs demonstrate our commitment to an excellent, all-round education. Please do shout from the rafters about our achievements. Our small classes, being taught by experienced and caring professionals, have led to these results. Whilst I cannot guarantee we will break records every year, I can guarantee we will be trying to do so! Whilst it’s not all about the ‘bling’, our refurbishment programme continues. In the Junior School, the Year 4 classrooms are nearing completion and the new technology in there is impressive (interactive panels, not TVs – I’ve been told off several times thus far). The Zen Den is looking tranquil and the new IT room looks outstanding. I hope the reception area is also a little more inviting. The work on the outdoor classroom has been delayed a little but we hope to see progress from Monday. In the Senior School we have created a new locker room for the senior boys and extended the Design classroom. New furniture has arrived for the refurbished library and we’ve created a ‘Learning Hub’ in my old office. Mrs Auty will be based here and I’m now downstairs if you wish to say hello. As we speak, the sports hall floor is drying and we can’t wait to see the children enjoying the new surface. The entrance porch has also had a facelift but don’t look down: we’re trying to come up with a solution for the damaged mosaic floor which will not require a mortgage! It’s been a busy few weeks and most of the work has been finished on time to a high specification. Many thanks to the support staff involved in this programme. I already have my eye on the next projects but I might take a few days off over half term! We have not re-stocked summer dresses and we will be working on a new design for Easter. However, pupils up to Year 6 may choose to wear their old dresses. Summer dress is optional so the children can also wear their new skirts/pinafores if they prefer to do so. Children wearing summer dresses can also wear their ‘old’ navy cardigans if they wish. Girls up to Year 6 can wear white ankle socks or white knee length socks with their dresses, skirts or pinafores. With skirts and pinafores they can also wear navy or red ‘woolly’ tights. Girls in Year 7 and above may wear white ankle socks or black tights. Please note: white socks should not be sports socks. The children can remove their blazers and play out in their school hoodies during break-times. Please remind them to have their hoodies with them. We will be looking to introduce new school coats during the year. In the meantime, the children may wear any dark blue or black coat which is not overly burdened with advertisements. Should the new jacket be ready during the year, it will not be compulsory to buy it so feel free to buy one which will last the year. This year the individual and family photos will be taking place on Monday 10 September (please see attached letter from Mrs Blyth). I am happy for younger children to wear summer dresses or more formal attire. If you would like the latter but we haven’t been able to provide you with a blazer, I’m sure we will be able to lend you one. The PTA is holding a family BBQ after school on Friday 14 September. All families are invited to this event and further details will be provided next week. We look forward to welcoming the children back on Wednesday. The staff will be raring to go after two staff days!